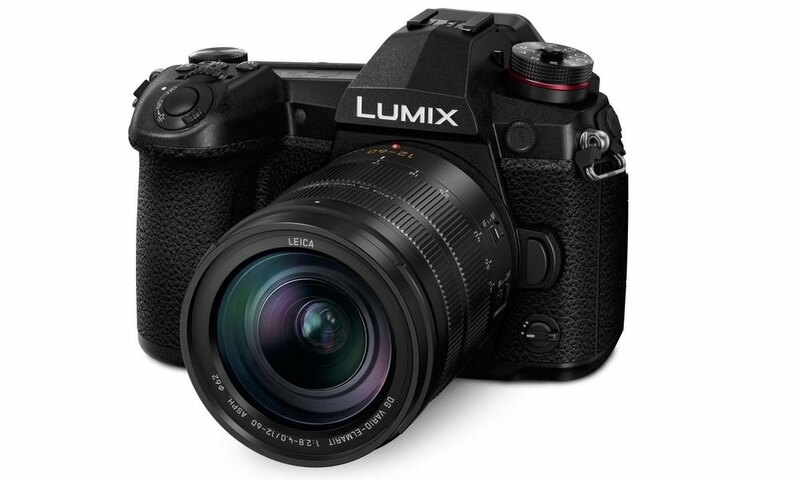 Panasonic introduced the 16-megapixel LUMIX GH3 (model DMC-GH3), their top-of-the-line mirrorless single lens system camera. A new Live MOS Sensor achieves high-resolution images with minimum noise. A new Venus Engine attains high-speed, high-quality signal processing. The camera’s body is rugged enough to stand up to professional use. It features a magnesium alloy full diecast body and advanced splash / dustproof construction that was achieved by sealing the sections of the camera body to enable shooting under extreme conditions. 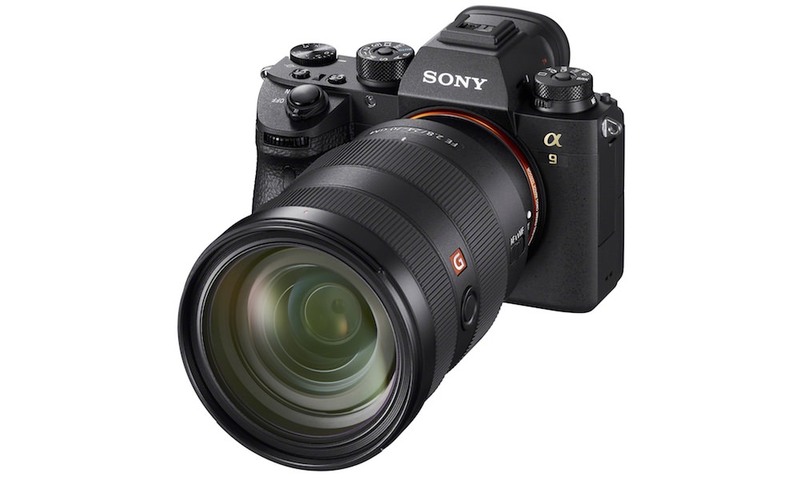 Although the LUMIX GH3 integrates features a class above other G Series models, it is still compact when compared with an SLR camera featuring equivalent performance and functions. The body has enabled a new control layout with three dials on the front and back as well as single-function buttons. The LUMIX GH3 allows users to capture images in extreme environments and provides superb mobility. It also records still images consecutively at a rate of about 6 fps. 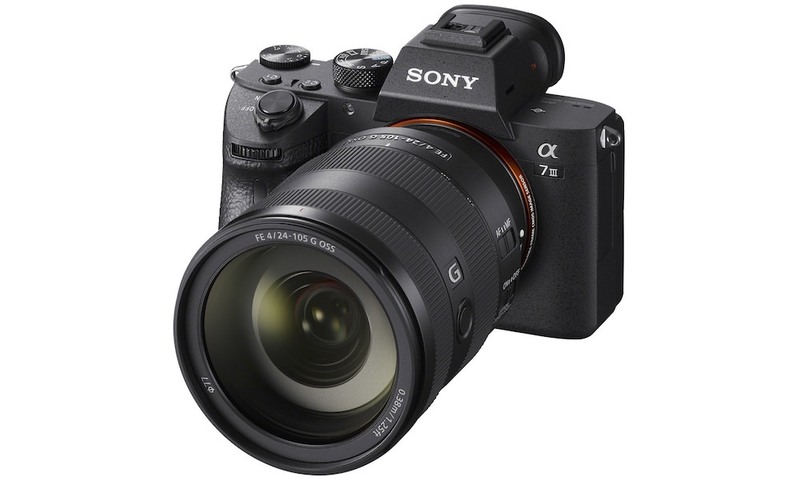 The video recording capability, which is highly acclaimed in the GH2, now comes with more variety of options in its format and bit rate to meet wide-ranging needs. It is packed with advanced technologies developed by Panasonic for professional video creation. The LUMIX GH3 uses OLED displays both in its viewfinder and in the rear free-angle monitor. 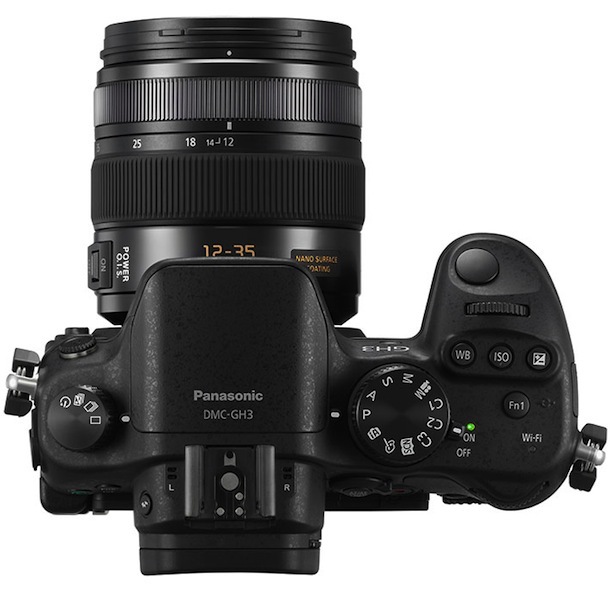 Panasonic has also developed optional accessories to expand the shooting possibility of DMC-GH3. A detachable battery grip DMW-BGGH3 for vertical viewing angle, integrates control featuring splash/dustproof design. The external TTL flash DMW-FL360L comes with wireless function and even integrates LED for video recording. A Stereo Shotgun microphone DMW-MS2 is also available. They represent a first of their kind for Panasonic LUMIX cameras. Delivering the highest ever picture quality with a new Live MOS sensor: The DMC-GH3 realizes high-quality photo images with real-to-life details through excellent resolution, image rendering and color reproduction; high-grade lens and precision AF achieves high resolution, optimal balance of resolution and noise reduction achieves lifelike image rendering and high precision auto exposure and white balance with live light metering results in faithful color reproduction. 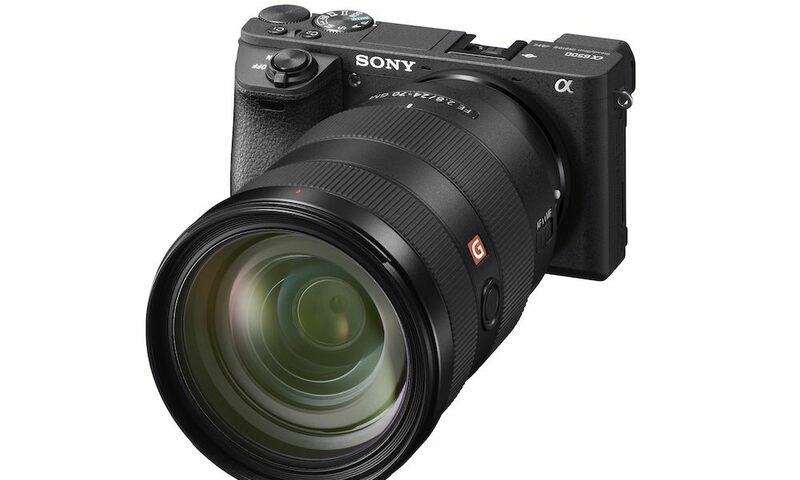 The newly developed 16.05 effective megapixel Live MOS sensor boasts wide dynamic range and high sensitivity image recording even at ISO 12,800 or ISO 25,600 in extended mode. The key point here was reducing noise, for which Panasonic focused on the following three areas: (1) minimizing noise in the sensor, (2) preventing sensor noise from entering the output signal, and (3) preventing noise from entering the signal processing circuit, power supply line and grounding line. To reduce noise, it is also important to design the power supply wiring and the signal wiring connected to the engine to be as close to the same length as possible. These measures not only suppress noise but also help to improve processing speed. Standard sensitivity is from ISO 200 to ISO 12,800, but the user can set sensitivity to ISO 125 or ISO 25,600 by using an extension function. The LPF (Low Pass Filter) has been also newly designed to minimize generation of moire while drawing maximum resolution of the image out of the sensor. The image processor Venus Engine is also refined to achieve superior noise reduction. With a combination of 3DNR (3D Noise Reduction) and MNR (Multi-process Noise Reduction), both bright area and dark area are faithfully reproduced with minimum noise across the entire focusing range in high sensitivity image recording. The built-in flash is enhanced to feature more power and flexibility. The new built-in flash of GN12 equivalent (ISO 100/m) / GN17 equivalent (ISO 200/m) covers 24mm wide angle of view. Synchronization for flash dimming and exposure compensation is available with adjustment of 1/3EV Step ±3EV. Manual control and a sync terminal are newly added for more versatile use of external flash. The GH3 also integrates HDR (High Dynamic Range) to cope with the extreme bright and dark contrast that you get, for example, with backlighting, or when consecutive photos are taken with different exposure levels and overlapped. Blown highlights and blocked shadows are then deleted and a single photo is composed. All processing is done in the background, so you can take your next shot without having to wait, ensuring that you don’t miss a photo opportunity. Other practical shooting functions including Time Lapse Shot or Multiple Exposure are available on DMC-GH3. The electronic shutter with silent operation prevents pixel declination which is undesirable in photographing of commercial products. Panasonic defies the conventional boundaries of a digital camera elevating the potential of video recording capability even higher. Users can freely choose the format from AVCHD, AVCHD Progressive, MP4 or MOV with the frame rate at 60p(NTSC), 30p(NTSC) or 24p according to the usage*. The DMC-GH3 is capable of recording ultra high bit rate video recorded at 72 Mbps (ALL-Intra) or 50 Mbps (IPB). And it is capable of recording continuously for an unlimited time. Heat generated during long continuous recording can cause problems. It not only affects internal components but can also degrade image quality. Effective thermal diffusion is an essential design challenge. By drawing on the expertise accumulated through its many years of developing camcorders, Panasonic has revamped and redesigned the electronic parts arrangement and internal structure to achieve the optimum layout. This has eliminated heat problems in the LUMIX GH3. When recording the video in MOV, AVCHD Progressive and AVCHD, the DMC-GH3 automatically generates multiple seamless files for continuous recording. During playback, the AVCHD Progressive / AVCHD files are reproduced with seamless, interruption-free continuity. The DMC-GH3 also embeds SMPTE-compliant Time Code either in Rec Run or Free Run count-up methods, which makes it easy to synchronize the multiple video footage or sound source in the post production workflow. Time Code Value can be started at any point of [Reset], [Manual Input] and [Current Time]. Drop frame or Non Drop Frame time code is selectable***. For high quality sound recording, DMC-GH3 adopts Dolby Digital for AVCHD　Progressive /AVCHD videos and linear PCM(LPCM) for non-compressed video recorded in MOV. In addition to the built-in stereo microphone, the GH3 is equipped with two 3.5mm terminals for an external microphone and headphones to facilitate sound recording. The DMC-GH3 also features Creative Video mode: Exposure mode and Slow/Fast-Motion mode. In the Exposure mode, four manual video modes: Program AE / Aperture-Priority / Shutter-Priority / Manual Exposure can be selected and they will faithfully reflect your shooting intent, and give you a wide range of video images. The Slow/Fast-Motion mode enables slow-motion (40% / 48% / 80%) and fast–motion (160% / 200% / 300%), all in Full-HD. Not only full-time AF, AF Tracking and Face Recognition AF are also available. The Touch AF in video recording also lets users enjoy professional-like rack focusing. Just by pointing at the subject, the focus is shifted to it and lets it stand out to attract attention. *60p(NTSC) video recording is not available in AVCHD and MP4 video recording. **In the model for PAL areas, motion image can be recorded up to 29 min 59 sec. ***Available in the model for NTSC regions. Intuitive response with nimble movement: All cameras in the LUMIX G assortment adopt Contrast AF for their focus system. Compared with the Phase difference system AF, the Contrast AF boasts higher accuracy when shooting with a bright lens with a wide open aperture. The DMC-GH3 features ultra-high-speed AF which makes it possible to capture fast-moving subjects clearly. 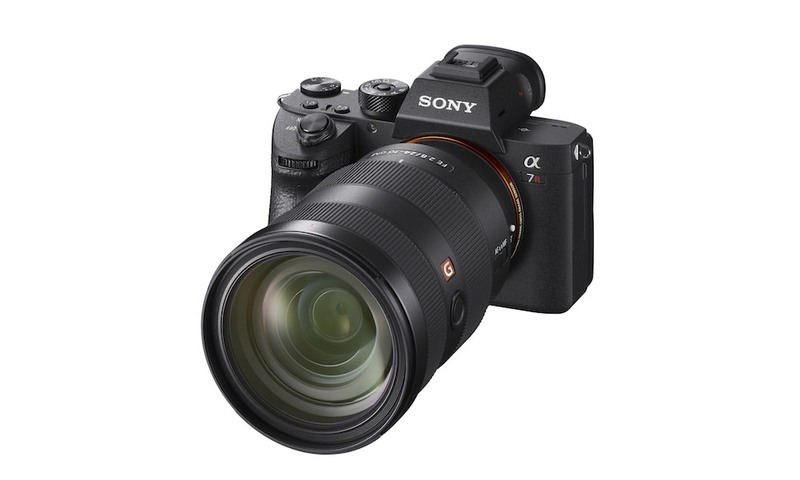 Both accuracy and speed are improved over high-end DSLRs with Phase difference AF with the GH3’s advanced Contrast AF system. The camera and the lens exchange the digital signal at 240 fps to minimize the time to focus. Together with the quick start-up and short release time lag, the DMC-GH3 never lets photographers miss fleeting shooting opportunities. The DMC-GH3 boasts high-precision, high-speed dual OLED (Organic Light-Emitting Diode) displays for LVF (Live View Finder) and rear monitor. Increasing the resolution of the display area to 1,744K-dot equivalent, the new 16:9 Wide Screen LVF boasts approx.1.34x / 0.67x (35mm camera equiv.) magnification and 100% field of view and eye point of approximately 21 mm. The 3.0-inch 614K-dot free-angle OLED rear monitor (3:2 aspect) with wide-viewing angle rotates 180° to the side and tilts 270° up and down offers approx. 100% of field of view. The OLED rear monitor adopts static touch control for smoother operation either in shooting or in playback. The DMC-GH3 captures moving subjects clearly with the burst shooting at 6 fps in full resolution (max. 18 consecutive shots of RAW+JPEG) and 20 fps in 4-megapixel recording using an electronic shutter(max. 80 consecutive shots of JPEG). Superb controllability and rugged design: Panasonic developed DMC-GH3 in pursuit of the best-balanced body design possible with the ergonomic grip and optimum layout of control buttons and dials. Each button has a single function to allow intuitive operation. 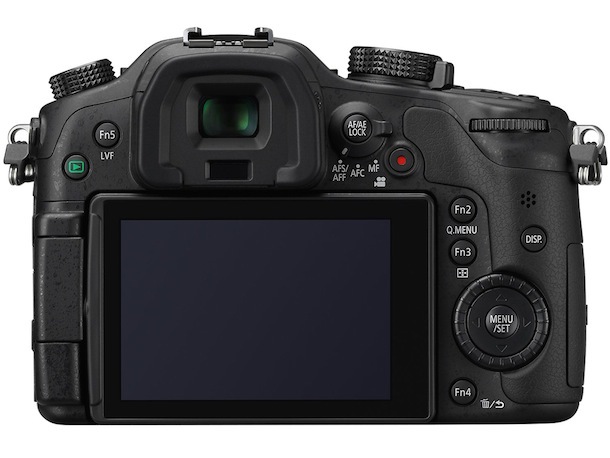 Major controls such as shutter speed, exposure compensation, ISO and white balance settings can be quickly adjusted with the front/rear dials and rear jog dial. Users can customize a total of 7 function buttons (5 in buttons and 2 in the touch menu tab) by allotting a function they use often. The control panel is fully redesigned enabling even more intuitive operation. The new LUMIX GH3 is tough enough to withstand heavy field use. The main structural features of the LUMIX GH3 are its magnesium alloy full diecast frame and splash / dustproof construction. Like previous models, the LUMIX GH3 has many moving parts, such as the free-angle OLED rear monitor. Thus, ensuring a high level of splash / dust resistance was not an easy task. In particular, careful attention was given to the popup flash. To prevent vignetting caused by the lens, the popup flash incorporates a sliding mechanism that raises the flash to its operating position. Panasonic has taken thorough measures to prevent the entry of dust and water from this section. There are also splash/dust-proof interchangeable lenses (LUMIX G X VARIO 12-35mm / F2.8 ASPH. / POWER O.I.S. and LUMIX G X VARIO 35-100mm / F2.8 / POWER O.I.S.) and the new Battery Grip DMW-BGGH3 to secure its high resistance. A variety of interfaces: The DMC-GH3 comes with a variety of connection terminals for more flexible shooting options. The newly added 3.5mm microphone jack allows high quality audio recording using an external microphone. It also comes with a 3.5mm headphone jack enabling monitoring the recorded audio while shooting video real-time. The DMC-GH3 is also capable of real-time image output not only on the OLED display (LVF or the rear monitor) but also on the external monitor via an optional HDMI mini cable simultaneously while recording video. It is suitable for professional video that requires serious monitoring of the imagery. Users can choose to output only the recording content or the content with the setting menus individually depending on the display. Creative Expression: The DMC-GH3 incorporates Photo Style and Creative Control for more unique expression tailored for the photographer. With Photo Style, users can manually choose from 6 color types to get even more detailed image settings, or to match the shooting situation. In addition, the contrast, sharpness, saturation or noise reduction for each mode parameter can be customized in 11 steps and stored in memory. In Custom Mode, finely customized settings can be stored for easy recall and use. The Creative Control lets you enjoy making the image even more impressive. A total of 14 filters are available – Expressive, Retro, High Key, Low Key, Sepia, Dynamic Monochrome, Impressive Art, High Dynamic, Cross Process, Toy Effect, Miniature Effect, Soft Focus, Star Filter and One Point Color. Most of the filters can be used in video recording, too. With the new GUI and menu tabs, switching filter effect is extremely easy and is possible to preview via the Live View. Effect parameter, defocusing area and exposure compensation are also adjustable. Wireless connectivity via Wi-Fi: The DMC-GH3 integrates a built-in Wi-Fi module for wireless connectivity (IEEE 802.11 b/g/n) to expand shooting possibilities. A smartphone or a tablet can be used to remote control and a remote monitor. What the camera is seeing is displayed live smoothly on the smartphone/tablet, and it is possible to set various controls including focus, exposure compensation, ISO, WB and Photo Style in addition to shutter release via live view using Wi-Fi. 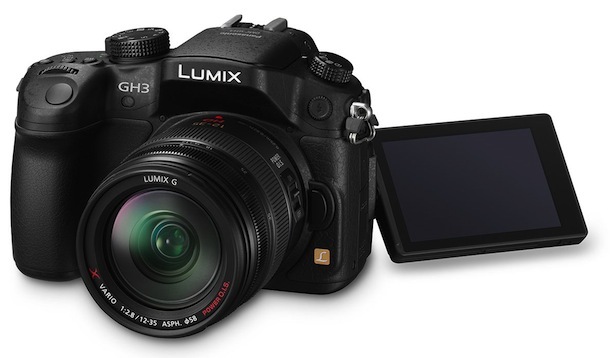 Panasonic also offers a full lineup of lenses that reinforce the LUMIX GH3. The LUMIX G X VARIO 12-35mm / F2.8 ASPH. / POWER O.I.S. (H-HS12035) is currently on the market. In addition to this, Panasonic is releasing a new fast F2.8 telephoto zoom lens LUMIX G X VARIO 35-100mm / F2.8 / POWER O.I.S. 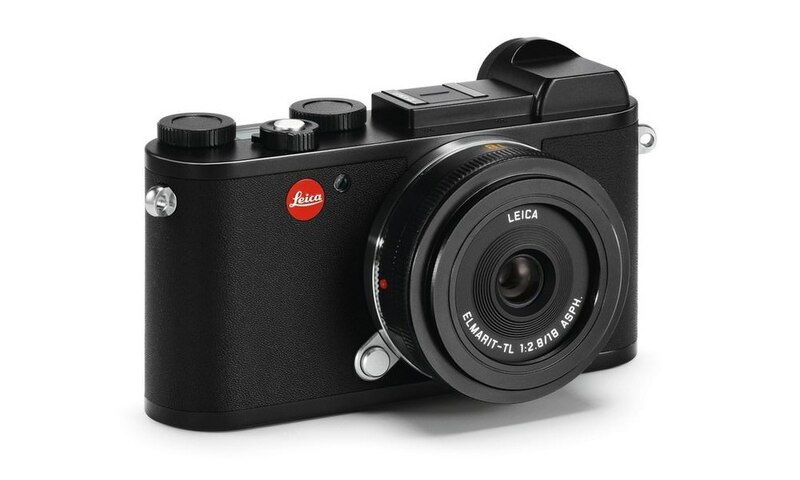 (H-HS35100) to introduce with the LUMIX GH3. These two lenses achieve high resistance performance against splash and dust when combined with the LUMIX GH3. The LUMIX G lens lineup includes a variety of models with superb image rendering, such as Leica lenses and smooth, silent power zoom lenses suitable for video recording. The Panasonic DMC-GH3 (body only) is available for $1,299.